Located just 500 metres from the Whistler Creekside gondola on the valley trail, Nita Lake Lodge boasts spectacular surroundings with easy access to Whistler’s activities and attractions. 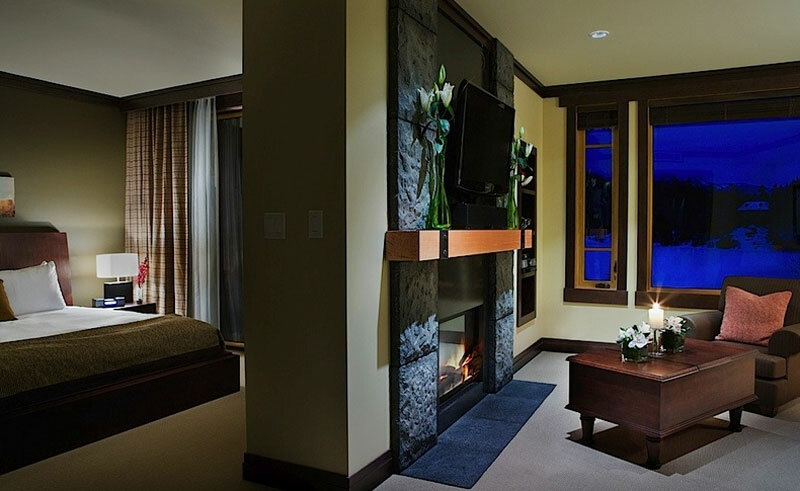 Each of the stylish 77 rooms and suites is furnished with king-sized beds, a double soaker tub, glass-enclosed rain shower and a basalt gas fireplace. Enjoy views over the valley, lake or Whistler Mountain. Choose from three in-house dining options, from a breakfast pastry at Fix Café to a delicious three course meal at Aura, via a patio lunch at Cure – all offer varied menus featuring locally sourced ingredients. The Spa at Nita Lake Lodge is a hidden gem where you will find outdoor hot tubs, a eucalyptus steam room and tranquil relaxation lounge.